Free Calling Application for Nokia Enjoy Free calling with your Java supported phone such as Nokia Mobile which support Java (.Jar or .sis) Application. You can easily chat with your friends also one can use video chatting if your mobile is supported with front camera.You can use Nokia Application for free calling, chatting, Video Calling . 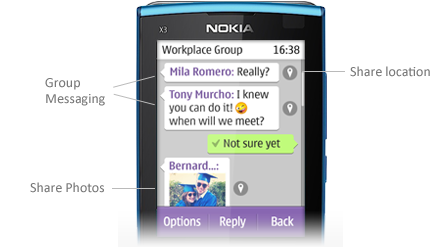 Viber for Nokia offers free instant messaging between Viber friends. Viber get Integrate with with your contacts and automatically know who has Installed Viber on his mobile. Viber allow free text, Free Calling and photo messages with location-sharing. 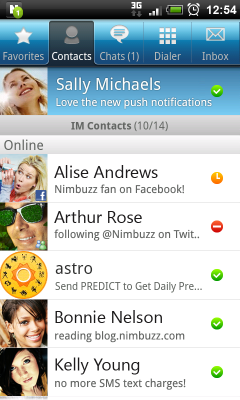 Nimbuzz allow free calls and messaging for all mobile devices. It is an smartphone Messanger which allow users to Communicate easily with end Cross Platform users. Just Download WhatsApp Messenger and Install it on your phone, start Chatting. 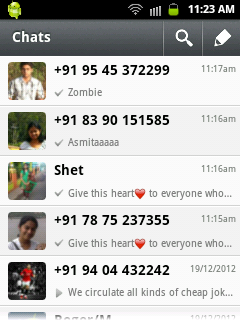 WhatsApp Messenger gets synchronized with your phone Number and send SMS just like a normal SMS. 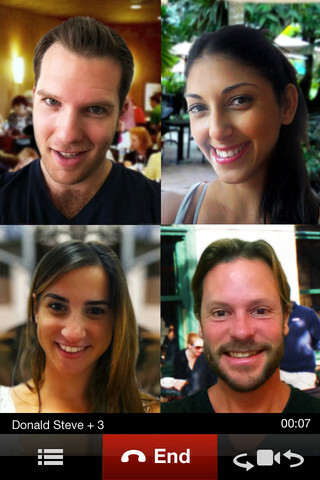 Fring is a free application for free Voice Calls, Texting and Video Chat with fring members. Moreover you can join Fring with your gtlak, yahoo, msn, aim and MSN Live accounts. This application also offers free group video chat with 4 friends at the same time such as Google + Hangout, free calls to other fring users anywhere in the world, free live texting. Skype is one of the most popular application for all platform With all the benefits on your phone you can save money and stay in touch when you’re on the tour. You can Make free Skype-to-Skype calls using WiFi or 3G and also allow free text sms to anywhere all over the world and can also share photos, videos and other Important Documents from your mobile. eBuddy Messenger is a real time messenger where in you can easily connect all socail Networking sites such as Facebook, Yahoo!, GTalk, MySpace and ICQ. Using eBuddy you can chat with your Facebook friends and can send text, emotions, photos and videos. Enjoy Free calling On your Nokia Phone.